Equestria Daily - MLP Stuff! : More Pony Music! Stygian, Discord, Mane-iac, and Starlight tracks! JoyStar interpreted the story of Stygian in awesome musical ways, reflecting both the times of getting along with the Pillars and his descent to darkness with different instruments and parts of the song! An awesome parody of the classic fan song and video from the Touhou community Bad Apple, this new ponification by Ashley H is centered around Discord's character depth and pays much tribute to the draconequus with the thoughtful new lyrics, the awesome video editing, and the very impressive vocals. After Moonrise and Fall of an Empire, The Royal Canterlot Symphonic Metal Orchestra is back with Pillars of Equestria, Part One! This upcoming piece will be centered around Stygian's story, and here is a teaser track from it! Record Melodie's debut song is very cute and promising! 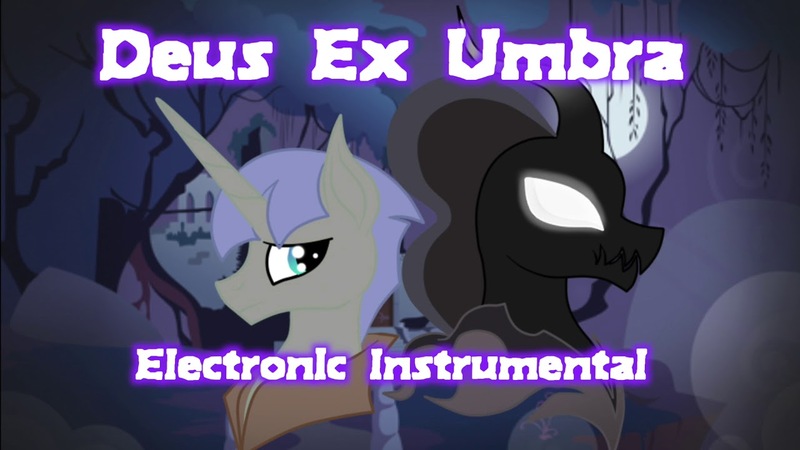 Another track from Remastered & Reconfigured, this remastered remix gives some love to The Blues Bronies' song Breakfast in Bed that shall not be forgotten! A short yet impactful and cute song with a very MLP-like message! Flanksy's track from MARVELOUS TRACKS: Two Years of noise​.​horse brings cool experimental vibes along some Mane-iac vocal chopping! Homage's track from Ponies at Dawn Enigma is such a soft and tender love song toward Starlight, featuring his gorgeous vocals that make me melt! Project Intensity is back in full force with their own anthem for HarmonyCon, that is just around the corner! Expect cute melodies and the duo's signature Hardstyle hard-hitting wonders! After the magnificent concept masterpiece Riding the Rails, Heartsong imagined a lovely music box rendition of the memorable show song I'll Fly! This remix of WoodenToaster/Glaze's classic Pinkie's Lie has got quite the musical concept, with parts of the track built to reflect a concept around Pinkie imagined by Agents of Discord! More details in the description. It's available as part of Remastered & Reconfigured! A collab of many wonders, AnNy Tr3e and AudioKritik's union gave birth to a blissful Melodic Dubstep track, with a very emotional second drop! That's the power of Melodic Dubstep for you! Nicolas' newest track is a delightful Ambient dedicated to Luna's beautiful creations! Lastly, this is not original music but I still want to share it with you all because I thought it's pretty cool and something that you might be interested in. You may or may not know that 4chan is organizing online soccer games with teams representing every board, well, Altius Volantis made another awesome mashup to bring some hype and cheer for our /mlp/ team, blending the iconic Giddy Up with Progressive Element's amazing and timeless Spellcaster, and he also edited a video of the best goals that the /mlp/ team scored! Seeing a team literally made of people with pony avatars (thanks to mods) playing for the honor of MLP against other teams, along the epic commentary, and this mashup that works so well, is a very exciting experience! At least that's how I felt when I watched it, such a great tribute from Altius too, so give it a watch and a listen, maybe you'll get interested too!